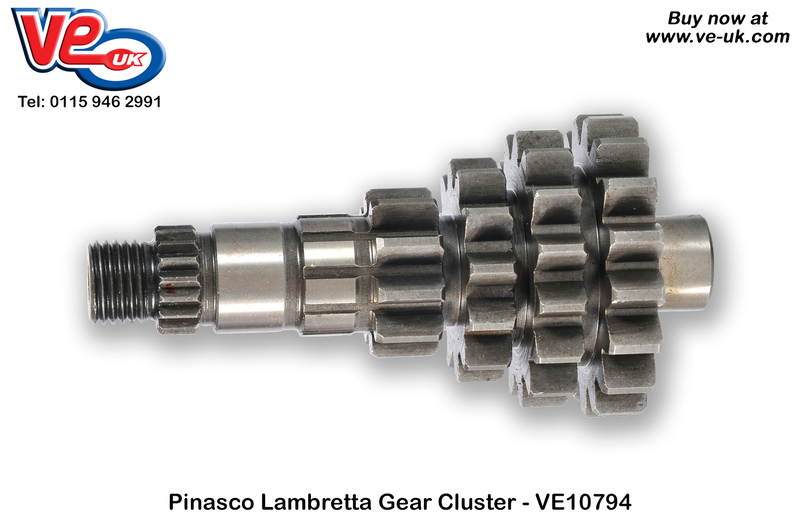 Pinasco produce a gear cluster in their product range for Lambretta classic scooters, which are available through UK importer VE (UK). The cluster has a tooth count of 10-12-15-17 and has been manufactured from high quality heat treated steel in Italy, resulting in a very durable end product. Race tested at the 2016 Scootentole 10 hour endurance event in Magny-Cours, you can be assured that this has been tested fully on tuned Lambretta scooters. Suitable for fitment to GP, LI, SX, TV and the Servetta lynx scooters. This entry was posted in Lambretta parts, Pinasco Performance. Bookmark this page.